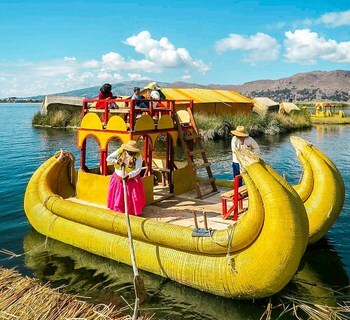 Peru is well known as the heartland of the Incas, the greatest pre-Columbian civilization in South America. But it is also the bedrock of ancient civilizations pre-dating the Incas by millennia. 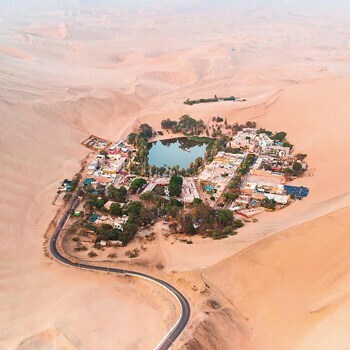 Tribes like the Nazca, Chimu, and Moche adapted to the harsh desert climate of coastal Peru, thriving long enough to create impressive cities, temples, aqueducts, and gold artifacts to rival those of King Tut. 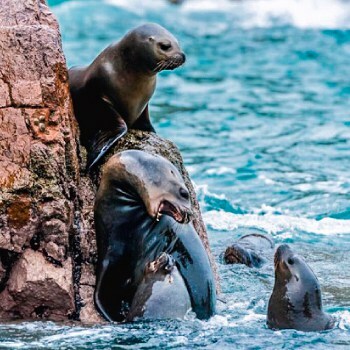 Peru offers a treasure trove of archaeological sites perfect for travelers interested in learning about the rich and complicated history of the country — the biggest problem is knowing where to start. Here are three essential Peru archaeology tours that no history buff ought to miss. The 1950s movie The Secret of the Incas, featuring Charlton Heston, is said to have inspired the hit series of Indiana Jones movies. As the first major Hollywood production set on location in Cusco and Machu Picchu, The Secret of the Incas also helped to spark popular interest in Peruvian archaeology. Heston’s character, Harry Steele, is on a quest to find the legendary Inca sunburst, a gold artifact that he – and a few others – are determined to believe is more than a legend. Indeed, Cusco and the Sacred Valley have a number of archaeological ruins and artifacts that tell the tale of a great civilization. In Cusco, Inca stonework vies with colonial architecture for the attention of passers-by. But because much of the Inca architecture was razed and destroyed, what remains is all the more impressive. Take the well-known 12-cornered stone on Hatun Rumiyoc Street, for instance. This construction is an excellent example of masterful stonework – the Incas built an empire of mortarless stone, cut carefully enough to fit among other stones so that barely a hair could slide between. On any archaeological tour of Cusco, be sure to visit Koricancha. The Inca Temple of the Sun, where Heston’s fabled Inca sunburst was kept, held much of the empire’s cache of gold. It was later sacked to help raise the ransom for Atahualpa, the last Sapa Inca (Inca king) before the Spanish Conquest. You should also visit the Inca fortress of Sacsayhuamán on the outskirts of Cusco. You’ll need at least half a day to tour the city and its outskirts, but a full day is preferable. Inca ruins lie in abundance throughout the Sacred Valley, as the Inca Empire (see Inca Timeline) had developed a complex system of roads spanning out from Cusco to Lima, Quito, Arequipa, La Paz, and beyond. Along these roads lay numerous tambos, Inca structures that served as supply houses for marching Inca armies and lodging for state administrators. Many of these tambos, as well as agricultural terraces, religious temples, and other ruins, remain today. 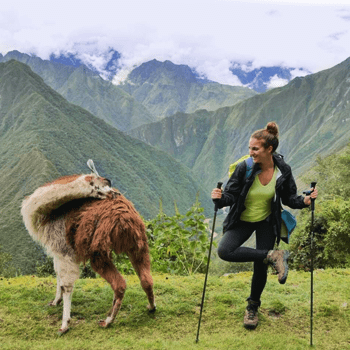 On the Inca Trail to Machu Picchu, the ancient Inca footpaths pass along Patallacta, Runkuraqay, and more. 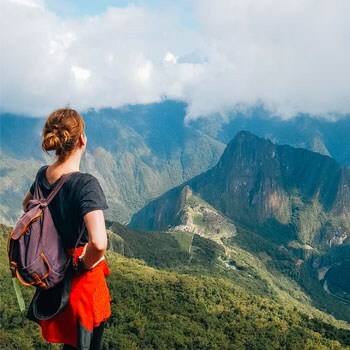 It’s possible to explore Inca roads and ruins throughout the Sacred Valley, and even as far north as the Inca ruins of Ingapirca, near Cuenca, Ecuador. 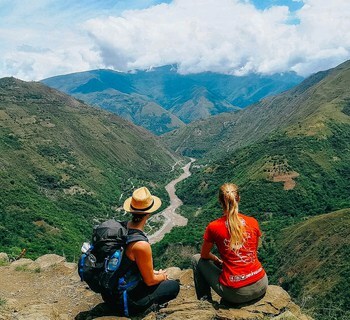 Many of the key Inca towns and structures in the Sacred Valley region were destroyed during the Spanish Conquest, save for elusive sites such as Machu Picchu, a citadel of stone that even today remains difficult to access for the traveler. 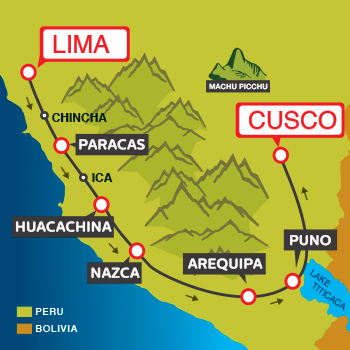 To reach Machu Picchu, you must take a 4-hour train ride from Cusco and then a bus ride to the entrance. But the payoff is great: one of the seven new wonders of the world, Machu Picchu is the most remarkable remaining testament to the ingenuity of Inca stonemasons. About 10 hours south of Lima by car, the little town of Nazca might seem unimpressive to the passerby. In fact, the construction workers who paved the Pan-American Highway in the early 1900s paved right through some of the most intriguing pre-Columbian archaeological finds of the 20th century. The Nazca Lines are a collection of geoglyphs that were etched onto the dry Nazca desert floor sometime between 400 and 650 AD. The exact reason or purpose of the lines still provokes much debate. Some of the most popular petroglyphs include those that resemble zoomorphic shapes, such as the monkey, eagle, hummingbird, and spider. These petroglyphs are so large — some spanning several hundred meters — that they are best seen from the air. During a Nazca Lines tour, you’ll take a short flight over the lines from the small Nazca airport. 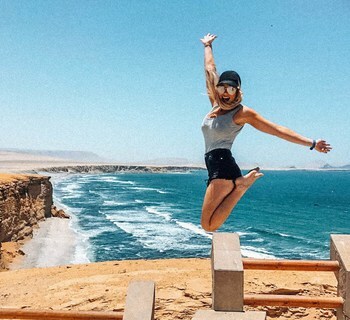 You can also visit the Mirador (viewing platform) next to the Pan-American Highway about 20 km north of the town of Nazca. From here you can see the Hands, Tree, and Lizard petroglyphs. Also, be sure to visit the Maria Reiche Observatory in the Hotel Nazca Lines for a nighttime exploration of the stars and their possible connection to the lines themselves. If you have more time, spend an extra day visiting the Chauchilla Cemetery and the Nazca aqueducts, both excellent archaeological examples of Nazca culture. You can take a one-day bus tour from Lima to Nazca, spending the night in Nazca before continuing on to Arequipa or returning to Lima. The flight over the Nazca Lines lasts about 20 minutes; it’s best in the morning when the winds are calmest. 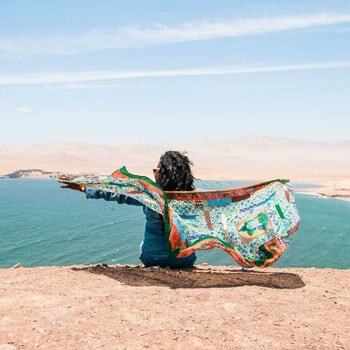 Good side trips near Nazca are the breathtaking Ballestas Islands and the Paracas Peninsula, where you can see the famous Candelabra geoglyph. The Candelabra is not known to be connected with the Nazca Lines; its exact purpose remains a mystery. 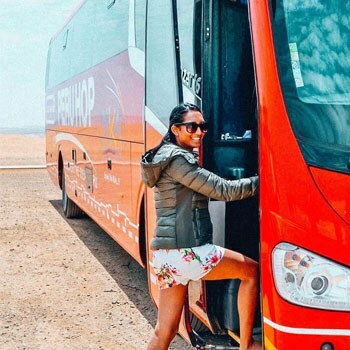 Another option is Peru Hop – first Hop on Hop off bus service in Peru, which covers the south of Lima (to Nazca/Arequipa/Cusco). 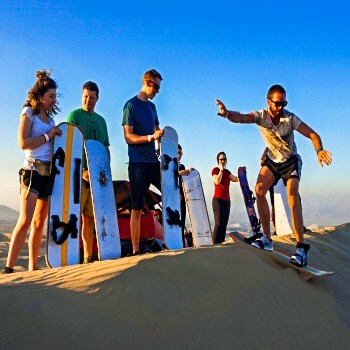 They also run 1day, 2day and 3day short round trips from Lima and are a great way to see and do a lot whilst basking in the all year round sunshine that exists south of Lima. 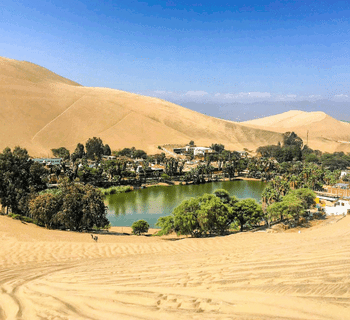 Northern Peru contains one of the driest coastal deserts on earth, a stark contrast from the lush Amazon Rainforest basin of Iquitos to the east of the northern Peruvian Andes. From Lima in Peru’s central coast, north to Trujillo and Chiclayo, and inland to Cajamarca, northern Peru offers a plethora of archaeological sites sometimes known collectively as “The Trujillo Circuit.” Archaeology tours of the Trujillo Circuit typically include visits to Trujillo, Chiclayo and Chachapoyas, three Peruvian cities in close proximity to archaeological sites of the Chimu, Sipan, Sican, Moche and Chachapoyas cultures. 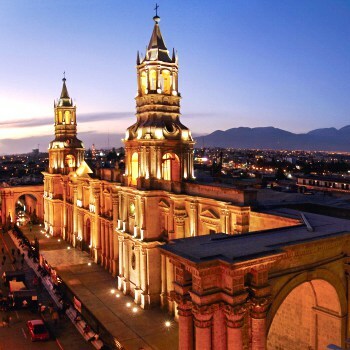 Highlights on this archaeology tour include a visit to the Moche Temple of the Sun and Temple of the Moon, the “El Brujo” complex, and the Sipan and Sican royal tombs & museums. Together, these sites make up some of the most impressive discoveries in archaeology of the 1900s. The El Brujo complex was a Moche structure discovered in the 1990s. The ruins include intricate artwork and relief carvings. The royal tombs of Sipán (home to the tomb of El Señor de Sipán) and Sican were discovered in the 1980s — laden with gold, artwork and other precious items. Kuelap is a Chachapoyan stone fortress built 3,000 meters above sea level on a hilltop in the Utcubamba Valley, not far from the city of Chachapoyas in northern Peru. The massive size of the fortress and its round turrets make for an impressive example of pre-Columbian architecture. 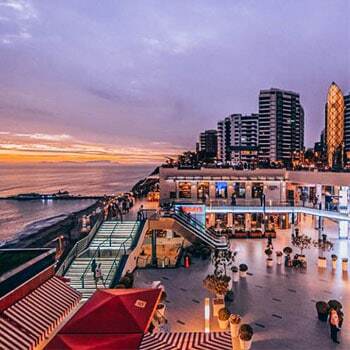 To do the Trujillo Circuit justice, plan at least a weeklong tour, with a flight from Lima to Trujillo and a bus tour through northern Peru. This amount of time allows for plenty of sightseeing in each major city, with time for the museums and other excursions. Before you head to Cusco and Machu Picchu, make sure to pick up a copy of Peter Frost’s Exploring Cusco, Hugh Thomson’s The White Rock: An Exploration of the Inca Heartland, and John Hysop’s The Inka Road System. 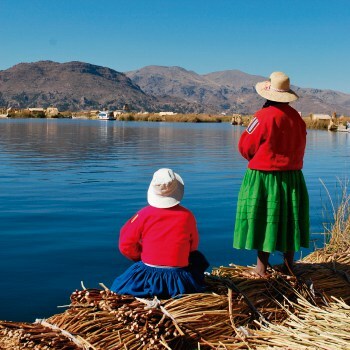 These detailed accounts will give you an in-depth look at Inca culture, history, and technological advances. 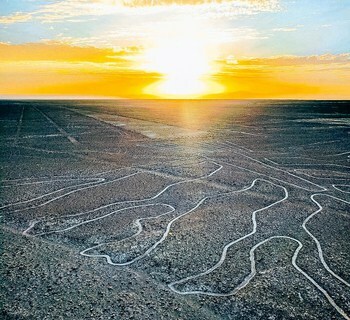 For more information on the Nazca Lines, read about Maria Reiche, the German scientist who spent decades puzzling over the mystery of the Nazca Lines. Learn more about the riches of Northern Peru with Sidney Kirkpatrick’s Lords of Sipán. 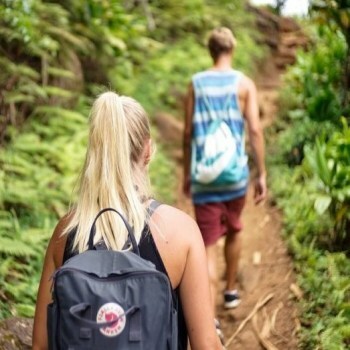 If you are interested in a trip to these archaeology sites we suggest you check out FindLocalTrips.com a tour comparison website with heaps of info and all the different options for taking trips of a lifetime. 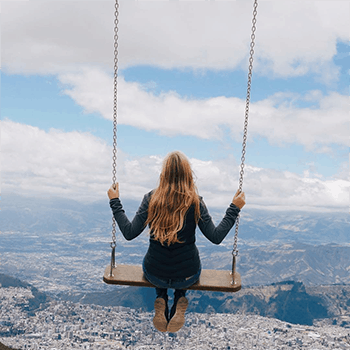 Kaitlin McMichael works for SouthAmerica.travel. 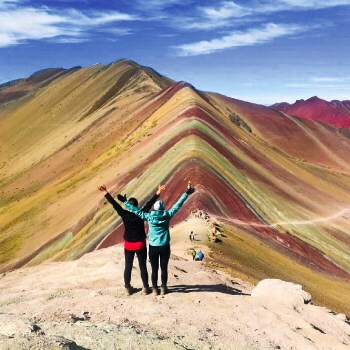 You can read her blog and see full itineraries of their three essential Peru archaeology tours — as well as other Peru tours — over at the SouthAmerica.travel website. You are correct about the Charlton Heston cult classic SECRET OF THE INCAS, it has inspired many moviegoers to explore Cuzco and Machu Picchu, me included. 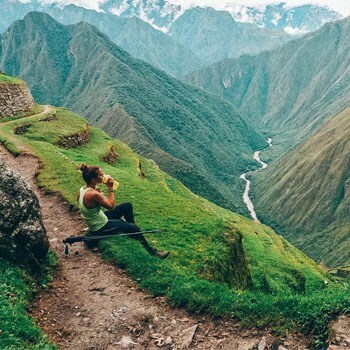 Peru is a beautiful and exciting country, I had the best time of my life there. I want to thank you for looking at my website and your warm response. When you eventually view SECRET OF THE INCAS you will have even more fun spotting the many similarities to the later Indiana Jones movies. No problem, James! I’m an Indiana Jones fan, so I’m looking forward to watching Secret of the Incas. Sounds fun. I find it amazing that today, we slgrgute with flooding and weather conditions etc. when the ancient people of Inca had found a way of coping with the problem hundreds of years ago! They should of written a manual to be passed down to property development companies of the 21st century. If only we could cope with weather like they could, it wouldn’t have been such a catastophe with our recent heavy snow! I would love to visit the Inca ruins, the history behind it is so interesting.